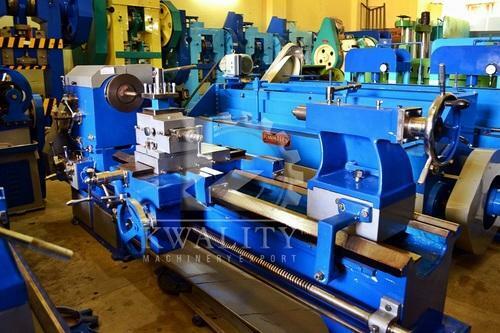 We are a prominent Wholesale Trader and Exporter of Power Press, Milling Machines, Mechanical Shearing Machines, Sheet Bending Machines, Hydraulic Press Brake, Radial Drill Machine, etc. These are appreciated for rigid design, easy installation, etc. We are a leading Wholesale Trader and Exporter of a comprehensive assortment of Power Press, Milling Machines, Mechanical Shearing Machines, Sheet Bending Machines, Hydraulic Press Brake, Radial Drill Machine, etc. Procured from reliable vendors of the market, these products are manufactured using high grade raw material and sophisticated technology under the supervision of quality controllers. Owing to their high rigid design, easy installation, durability, these products has huge demand among clients all across the country. Besides, clients can avail the offered products from us in various specifications at reasonable prices.